Midgar Templedog Hair 6,5-8 cm come from the neck & body of the skin, and is the absolutely finest genuine templehair available. It is the ultimate material for making tear-drop shaped, wiggling wings on any salmon or streamer fly tied on hooks or tubes. 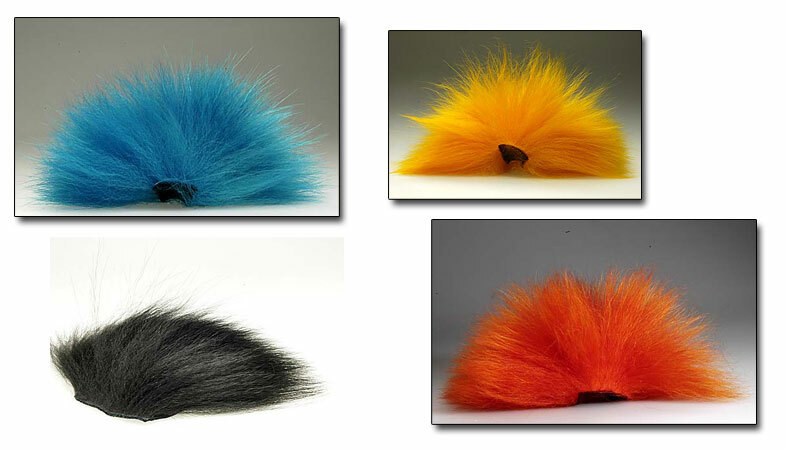 Midgar Templedog hair 6,5-8 cm are offered in 49 great colors. The skin patch before dying is 5 x 6 cm.